The International Society of Reef Studies (ISRS) Student Committee challenge us to take the pledge to do our bit for coral reefs. Make a pledge to commit to actions with coral reef health in mind and share your commitment and knowledge with others. No need to limit it to just one action – do as many as you dare! Some are easy; others take a little more effort, but every one helps to promote the health of our coral reefs! Here are some suggestions of meaningful actions you can take during the International Year of the Reef and onward…. So please, get pledging! Chose a ‘Do Action’ from the selection at the bottom of the page, or from many more options by clicking the “pledge” button. Choose your specific action – you can take inspiration from the suggestions below or choose your own. 1. Give two public talks during the year. These can be to local schools, social groups, or advertised through your whole community. Explain to people what a coral reef is, what bleaching is, and why they should care. 2. Opt for taking public transport, walking, or cycling to your destination when you can – reducing your CO2 emissions! 3. Take reusable bags to the supermarket. There’s no need to bring more plastic bags into your home – reduce, reuse, recycle. 4. Refuse to use single-use plastics. For example, make sure to tell your waiter that you don’t need a straw in your drink. Carry a reusable water bottle and/or coffee cup with you, many coffee shops now give discounts for using your own cup! 5. Take the time to write a letter to your local politician highlighting the importance of reefs and perhaps a locally important environmental issue. Politicians need to know what matters to you so they can act. 6. Educate and share: talk about the plight of the corals reefs whenever possible. When you see someone taking a plastic cup at university or at work, explain to them that there are alternatives. When people ask what you do, explain them about reef conservation. 7. 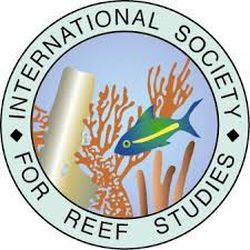 Submit a guest post to the ISRS student blog “Reefbites” or become a permanent writer for us. Find out how here. 8. Share your reef and environmental experiences through social media and tag @ISRSreefstudent. Promote yourself and your commitment to the reefs!